If you’re only going to use one social media site for marketing, the chances are it’s going to be Facebook. The now-ubiquitous social networking site has come a long way since its Harvard University origins and has been open to the public since September 2006. Over the years, it has added features that have become synonymous with social media as a whole, including photo sharing, video sharing, messaging and live video. 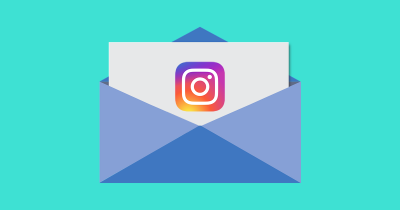 It has also become a platform for other apps and games, has acquired other popular social and messaging networks (most notably Instagram and WhatsApp) and includes advertising. In September 2016, Facebook had 1.79 billion monthly active users (MAUs), 16% more than the year before. The company also reported 1.66 billion mobile MAUs. The daily user breakdown is 1.18 billion overall and 1.09 billion using mobile devices. Most of its users (84.9%) are outside the US and Canada. What this means is that most of your customers are probably using Facebook already, so it’s an essential part of your marketing strategy. This guide will walk you through getting started with Facebook, as well as using two of its major tools – Groups and Pages – to market your business. If you’re going to use Facebook to market your business, you need to start by creating an account (which means creating a personal Facebook profile). You’re allowed one per email address, provided you’re over 13. 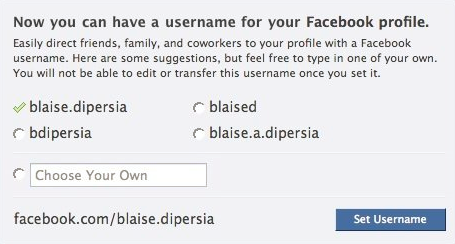 According to Facebook, personal profiles are for non-commercial use, but you’ll need the personal account to use other Facebook services. For example, you can only participate in groups and create or manage a business page if you have a personal profile. Don’t worry, you can keep your profile private. 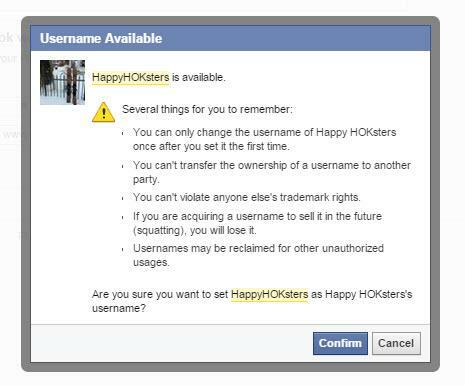 However, there are some parts of your Facebook profile that remain visible, even with privacy enabled. People can also follow your profile to view to your public posts. It’s also worth filling in the about section and adding links to websites as needed. This means that anyone who explores your profile has an easy way to get to your other online hangouts. You can also make use of the “featured photos” function on Facebook profiles for marketing. On your profile, there’s an “add featured photos” link just below the profile photo. Click it, and you can feature up to 5 of the photos you have already uploaded. These are public, so you can add context by describing the photos. Featured photos can help you showcase your interests, branding, business location or even a current offer. It’s a good way to get your audience interested in interacting with you. There’s one big caveat with Facebook. A Facebook profile or page is not a substitute for an online presence of your own (your own website). The internet is littered with stories of people whose profile was disabled, temporarily or permanently, for a perceived infraction of Facebook’s terms of service. And since Facebook is so huge, it can be difficult to find an actual person to talk to if you want to get a decision reversed. And even if you do, it can take days or weeks to resolve. If you’re planning to administer a page or group, make sure that someone else in your company also has admin access, so you don’t get locked out of everything. Remember that you’re not in charge of the content. Facebook can be a source of negative content you can’t control. Many consumers are aware that businesses respond faster to assuage their complaints if they complain through social media. And even totally well-meaning and complimentary posts from followers can be detrimental to your brand image. This rule is both rigid and unclear: no-one knows how long it’s going to stay in force, or why it’s there, but if it’s applied to you there’s nothing you can do about it. It’s another barrier to reach and effectiveness on Facebook. Use Facebook as a tool to connect with your audience and to shepherd them to your own site, where you’re in control. There are two ways to use Facebook Groups effectively. The first is to set up your own group. Some 850 million people use Groups, according to Facebook’s 2015 report. Setting up your own group is pretty simple. You visit the groups page, click on “create a new group” and follow the on-screen directions. Facebook has pre-populated suggestions for groups that might make sense for you, based on your likes and interests and pages you manage. You can customize any of these to create a group that includes your desired audience. Groups can be public, closed (available in search but require you to join in order to see the content) or secret (invisible to anyone you haven’t shared the group with). As a business, you’ll want to include a cover image for your group that lets people know what it’s about – perhaps a branded, specific version of your other social media cover images. 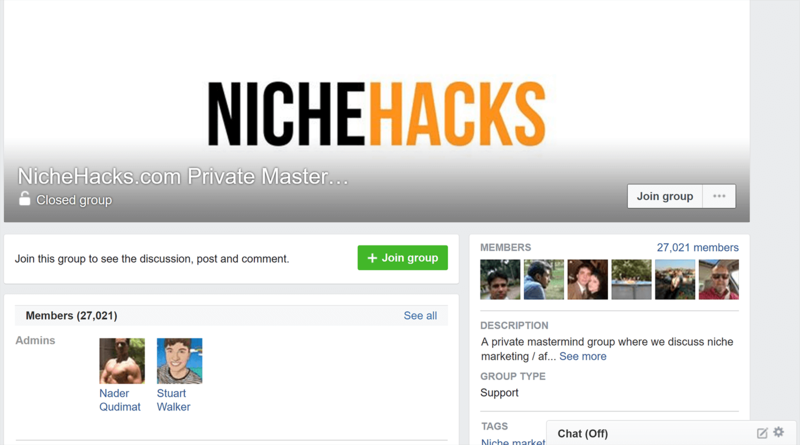 For example, Nichehacks uses its logo to create a simple header for its group. It’s also important to create a group description that attracts your audience. Many businesses set up groups for regular events or for programs, products and services or simply to create an opportunity to network and share. You can add people to your group without their permission, but since that’s kind of spammy, invite people to join instead. Posting within the group is pretty much like posting on your Facebook timeline. You can share status updates, images and videos. However, unlike a personal profile, you can also add polls and documents, create events, and add items for sale. Running a group successfully is a bit like running a forum or a discussion group on other sites. The best-run groups I’ve seen have rules about respecting others’ views and when to indulge in self-promotion, and may also include themes at different times of the week or month. The group owner participates regularly and posts conversation starters at intervals, tagging people if necessary to ensure that dialog happens. Content shared in those groups includes a mix of helpful articles for group members, members’ promotions, events/offers for members, fun stuff and a few promotional items. Groups are an excellent way to build or nurture a community around your brand, products or services. You can use them to form relationships with industry peers, customers, social media followers and more. Facebook groups can help you network with brand ambassadors and provide value to audiences of all kinds, as well as bringing traffic to your site. And as the group grows, group members will help each other, reducing the time you have to spend on maintaining interaction. When the group gets large, ask a couple of the most active members to help moderate the group and keep it spam-free. Many companies also use groups to get early feedback on new ideas, concepts, designs – you name it. 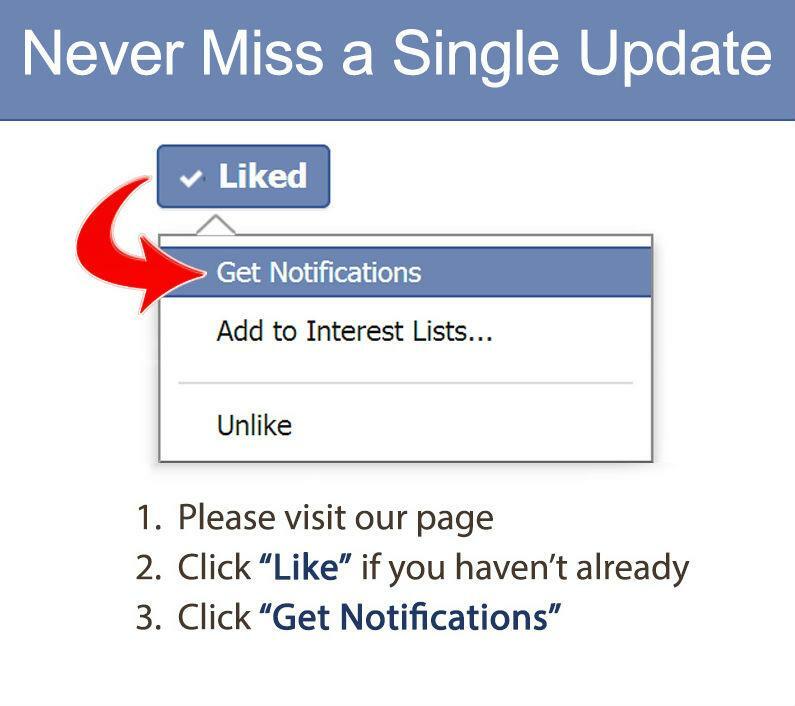 As with other parts of Facebook you can opt-in or out of receiving notifications on the web and mobile. For busy groups, it’s sometimes best to check in regularly rather than be overwhelmed by updates. You can also manage groups on your mobile device via the Groups app. If you don’t want to setup your own group, you can also benefit from joining existing groups within your sphere (that’s the second way to use groups, mentioned earlier). You can find groups to join via Facebook search or check out your favorite industry or niche organizations to see what Facebook groups they own, recommend or belong to. Choose groups that are active and vibrant; you won’t get much out of joining a group unless you jump in and try it. Finally, one important thing to know is that a group is a private space (or as private as you can get on Facebook). Only group members see updates to your group, they don’t appear in the newsfeeds of your friends. That’s why, in addition to having a group, it’s useful to have a Facebook page – where the updates are public. As the statistics cited earlier suggest, you can’t ignore the potential of a Facebook page for marketing your business. To create a page, go to this link and choose a page category. Each category also includes various sub-categories. Depending on the category you choose, you will have access to different Facebook features. Don’t worry; if you get it wrong, you can change the category later. You may also have to check a box to confirm that you are authorized to create the page. Next, add a profile photo, add the page to your favorites (which makes it easy to access) and specify the preferred audience for your page by location, gender, age and interests. Once you have completed this, your page is visible, but it probably doesn’t look very good. Access the page settings from the button at the top right to unpublish the page until you’ve finished branding it. If you’re planning to keep the page live and tweak settings as you go, then the next thing you’ll want to do is set up your cover photo. Ideally, you should brand this similarly to your other social media profiles. For example, Crazy Egg has the same cover image on Facebook, Twitter and LinkedIn, providing immediate brand recognition for visitors. You can change cover photos whenever you like to reflect whatever you want your audience to see at the time. Please note, though, that Facebook limits the amount of text on the photo to 20% of the image size. That doesn’t stop you from including a non-clickable call to action, though. You can also include an actual call to action on the page itself, choosing from a range of options. If you have a business Facebook Page, getting a vanity URL for it is a pretty smart move. Vanity URLs are easier to find, easier to share and easier to read. They also make you look more professional and add to your branding efforts. Plus, they show up in SERPs! You can have a separate vanity URL for each page you own or operate, so select the one you want to start with from the dropdown. You might need to select a username first, which is why we’re starting here. Once your username is set, you can claim your page vanity URL. Check availability to make sure no-one else has already jumped on it. That should be it! If your URL is available, it’s yours. 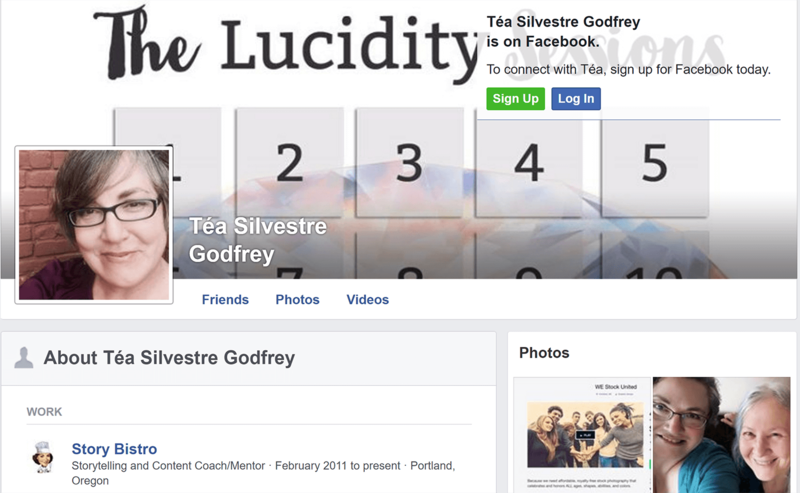 You can share your Facebook page in a way that looks a lot more professional. As your social media strategy develops, it may be useful to have multiple people involved in managing your page to share the task of keeping it updated. Page admins have the most authority, but there are also roles for editors, moderators, advertisers and analysts. Facebook allows you to post multiple content types, similar to those you can post on your personal profile. As with groups, you can also create events. While the huge Facebook audience is a plus in terms of potential reach, there’s likely going to be a lot of competition as well. This means you have to work hard to attract your audience’s attention. There are several ways you can do this. In the last couple of years, video has steadily increased in popularity across multiple social media channels. Video gets attention and wins conversions. That trend is here to stay. So it’s no surprise that video is huge on Facebook, which averages 8 billion daily video views. While sharing external videos will get some attention, uploading video directly to Facebook gets even more. Research from eMarketer shows that native video gets 13.2% organic reach compared to 7.9% for shared YouTube videos. Tubular Insights has some excellent advice on video marketing on Facebook. Marketers also have the option of using Facebook Live to record live video for their audience via mobile devices. You can also use this feature with Groups and Events to broadcast to those audiences selectively. Facebook Live videos are saved to the videos tab on your page. You can also use live video for advertising via the Facebook platform. As with live video on other platforms, letting your audience know about the planned live stream in advance and promoting it via other channels will help your video be even more successful. Eli Rose has additional tips on live video on Facebook and check out Hubspot’s list of Facebook video marketing case studies. Remember that stat about how many images people upload to Facebook every minute? Well, multiple studies show that we’re hard-wired to give images our attention, which makes them one of the best ways to connect with your audience. One tip I learned recently (if I could remember where, I’d link to it) is that when you’re sharing links, don’t just put the link in the status update box and wait for Facebook to pull in the image and other social metadata. Instead, upload the image manually (make it a photo post, in other words), then add the link plus any context in the status box. Facebook treats this as an image update and more people see it. Sounds odd? It might, but it works. Since I started doing this, I get at least 5 times the number of views on my updates. To get great images to use on social media, try one of these Creative Commons sources or create your own with a tool like Canva or Pablo. If you’re a Twitter user, then you know all about hashtags – those words and phrases preceded by “#” that help with content discovery. Hashtags have spread to most social media, including Facebook, but the way you use them on Facebook is very different. Recent research from Trackmaven shows, that unlike on Twitter or Instagram (where hashtags proliferate unchecked), on Facebook the best approach is to use a single hashtag of six characters or less. A single hashtag results on 1771 interactions on average per post. Use more or longer hashtags and engagement decreases, says the research. According to Hootsuite, optimal posting times for Facebook are between 12 and 3 pm on Mondays, Wednesdays, Thursdays and Fridays, and between 12 and 1 pm on Saturday and Sunday. CoSchedule summarizes 16 studies and concludes that posting between 1 and 4 pm late in the week or over the weekend will really ramp up Facebook engagement. Use these times as a starting point, but pay attention to what your own audience does to find the best times for your Facebook page. You have to test and experiment and find out what works best for you. What about content types? We’ve already talked about the use of images and video, but it’s worth thinking about categories of content. Again, the TrackMaven study has some insight for this. It suggests visual content to inspire and amuse your audience; entertaining content like quizzes; content that solves problems for your audience; content that unites your community; and giveaways. If you want to post content you know will work well, use a tool like DrumUp, PostPlanner or ContentGems to help you create ultra-shareable posts. 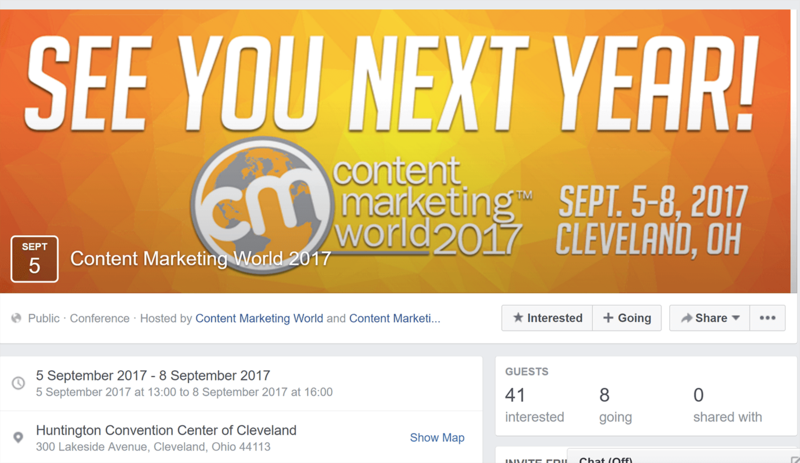 Facebook has an events tool, accessible both through groups and pages. You can use this to promote external events. Setting up an event is as simple as clicking the “create event” button and adding an event title and date. For best results, add a striking cover image and appealing description. Once you have setup the event, you can share it on your page and beyond Facebook. In addition, you can post regular updates to the events page and you can also promote it via Facebook’s advertising platform. Sprout Social suggests partnering with influential Facebook co-hosts to give your event even more reach. 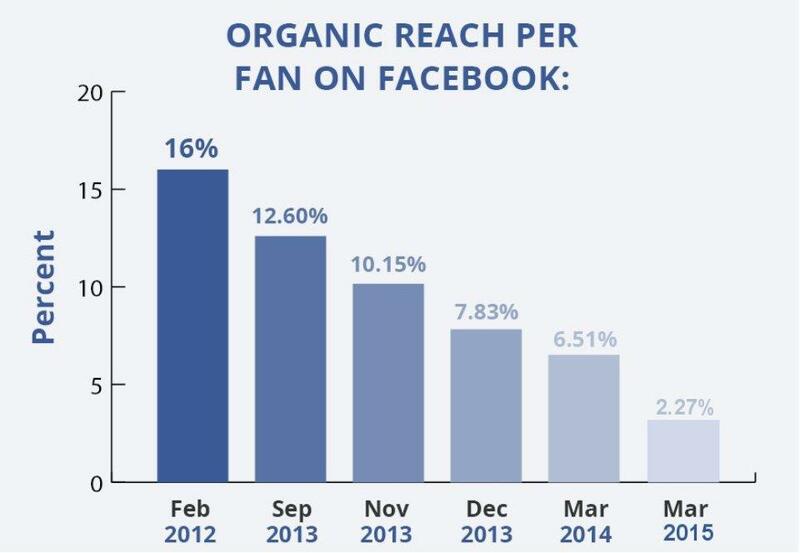 When Facebook initially launched Pages, it was pretty easy to capture your audience’s attention. These days, it’s much harder, the pool is much bigger, so it’s worth considering Facebook advertising. Facebook offers multiple ways to advertise your content. The simplest is via an on-page “boost post” button appearing below updates; but there’s also the Facebook ad manager and the Facebook Power Editor, which is the most complex. Facebook ads are relatively easy to set up and can be comparatively inexpensive, with a wealth of targeting options. 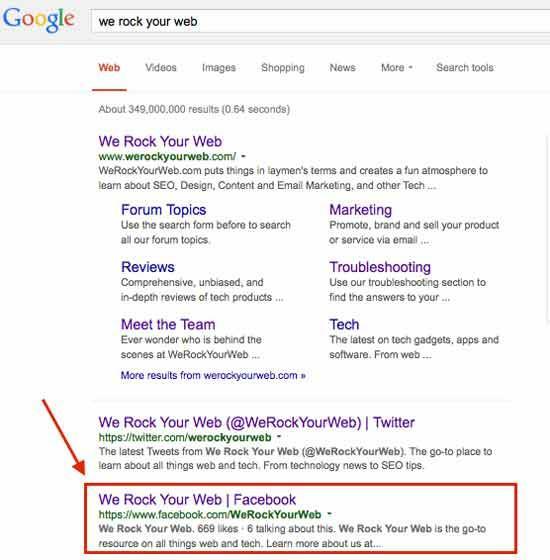 Check out the Crazy Egg Guide to Facebook Advertising for a walkthrough of the process. Buffer also has a nice comparison of the different advertising goals. To get the most from Facebook, track your analytics. You can do this via Facebook page insights, which allow you to explore how boosted posts have performed – as well as likes, reach, and actions on page. There’s also data on the performance of posts, videos and events and what’s happening in your local market. Pages also display information about your responsiveness to visitors’ private messages. You can also get data on ad performance by clicking on campaign names in the Facebook Ads Manager and Power Editor. AgoraPulse provides a free Facebook benchmark tool so you can measure your page against others. Not even a quarter of what it once was. Facebook still remains a great way to interact with your fans. 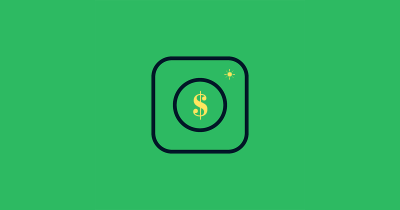 You can even get out from under the organic reach avalanche without spending a penny, if you can convince your fans to opt in to receive notifications. See how top brands use Facebook and see which strategies work best for you. 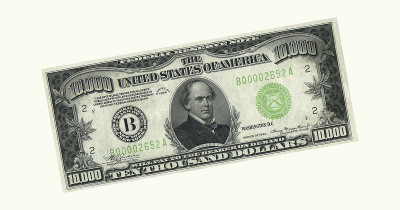 Use contests, just as you do on other platforms. Take inspiration from this list of viral Facebook campaigns. As a marketer, you can’t ignore the potential of Facebook to amplify the content you create and connect you with your core audience. How are you using Facebook in your marketing? Did we miss anything? Need more explanation on something in this guide? Let us know in the comments. Updated on 3/2/2017 by Richard Bayston.